YG is as real as artists come in the game today and if you thought that music was all that he’s capable of, you’re wrong. We already saw him make a hood classic with Blame it on the Streets, but most of you don’t even know he’s been killing it in the fashion game too. YG has developed a very brazy and unique sense of style over the years and regularly posts his fits to the gram. He has always been into fashion, so it should come to no surprise that his 4hunnid clothing brand is coming to the forefront with the music. 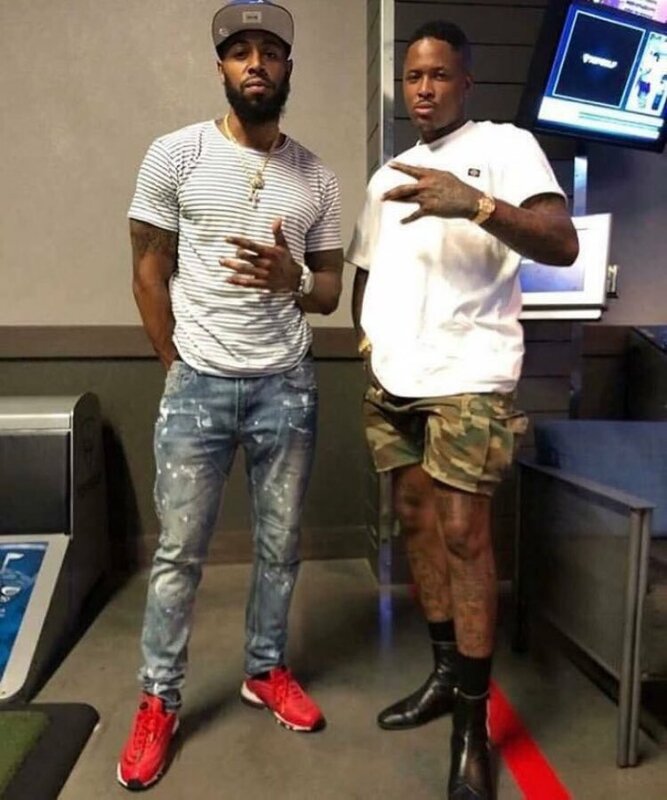 Earlier in his career, you could catch YG keeping it simple wearing Chuck Taylors with shorts, a sweatshirt, and maybe a snapback. As he began to dive deeper into the fashion world his style began to change he started to wear more skinny jeans and hard bottom dress shoes to emulate the style of OG’s from the 70’s and the 80’s in LA who used to wear it. You can no doubt see the West Coast inspiration in every fit that YG pulls off and he’s not scared to take chances, either. Despite receiving backlash from people on social media he stills rocks whatever style he likes because he is proud of it. He also does not want to look like everyone else when he picking an outfit he wants to be 100% original and not look like a mannequin at a clothing store. YG is serious about paving his own lane within the fashion industry too, even hosting his first fashion show for 4hunnid and selling out pop-ups as drops coincided with the release of his latest album Stay Dangerous. The clothes take a lot of inspiration from the streets and pay homage to gang culture in LA especially Compton where YG is from. At the end of the day, this is a collection that anyone can rock if they have the sauce. 4hunnid stands for “Forever One Hundred,” which means staying true to yourself at all times and YG definitely practices what he preaches by breaking barriers in music, movies, and fashion. At this point in YG’s career, focusing on clothing along with the music makes perfect sense as he continues to grow his brand way further than anyone would’ve ever thought when he first dropped “Toot It and Boot It.” Now, according to YG, you’ll be able to cop his “KUT & SEW” collection at Barneys New York this fall. TOO BRAZY!  @4hunnid “KUT & SEW” is officially launching in @barneysny @barneysman this fall/spring November 臘‍♂️路‍♂️ This here is what you Kall BLACK EXCELLENCE @diddy voice . . . . . . Special shoutout to the click, @mizzlesupervsn @noblegent @chrle._ @brookelyn_styles & @chelseasutrisno ….. 4HUNNID WAY! YG’s inspiration for launching 4hunnid came from none other than how Jay-Z and Dame Dash had started Rocawear and were able to make it elevate their brand. In a 2017 interview with Complex, YG said, “It’s not merch, it’s a lifestyle.” That’s exactly how he’s looking at growing his brand and he has aspirations that go way beyond just retail. We’ll just have to stay posted and see what he does next.